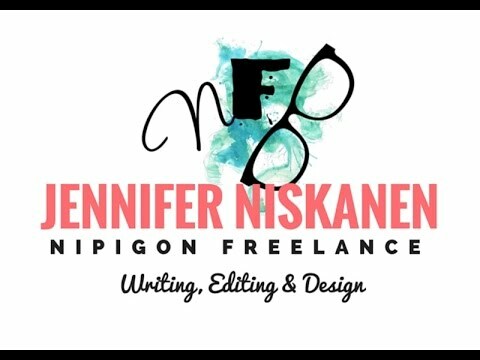 If you are a offering your free editing services, this is the thread for you to promote yourself. Please include your name and a brief explanation of why you want to help out with editing. Authors can contact the editors through BookRix private messages (to discuss details such as deadlines, etc.) Please do not use this thread for discussions. I am a highly talented editor and would love to proofread your books!! Please contact me for more information. I am an experienced freelance editor. I have a BA in Interdisciplinary Studies. I have years of experience editing and formatting academic papers, editing newsletters for several community organizations. Most recently I have edited projects for new Indie authors in the fiction category. I can help with proofreading, character development, story ARC, plot development and all other aspects of the writing process. Please contact me, I would love to help out in anyway I can. I am a newish member to BookRix who writes a little 'erotica' but seem to lack confidence. I would like to sell the final story if it is good enough as well as take it further to get it translated into several languages. I do not expect to make a fortune if any but you must have an aim. What can I contribute in exchanged for your help? I am an old happily married man who would offer friendship; your name mentioned in dispatches and if there is a huge payment a share in the golden egg. I forgot to mention that one of my hobbies is painting and drawing so book cover creation could come as a possible 'thank you offer' to your own story. Waiting in suspenders! If you are a professional editor, this is the thread for you to promote yourself. Please include your name and a brief history of your education and/or experience with editing. Authors can contact the editors through BookRix private messages (to discuss details such as payment, deadlines, etc.) Please do not use this thread for discussions. I am a freelance editor, writer & designer. I am the executive editor and head-writer at Worldclass Magazine, and I edit for Health & Life Magazine, as well. I first obtained real world experience in the publishing industry, as an on-staff journalist for my local newspaper. I have also taught English at the high school level, so I know how to talk about language and writing. I've worked with professional and amateur writers, both fiction and nonfiction, in subjects ranging from romance to Internet marketing. Not only do I excel at line-by-line proofreading, but I can give guidance concerning style and organization or even fill in the gaps with my own writing when required. I'm a freelance editor. I've been published by Koehler Books and am currently enrolled at Athens State University to achieve my Bachelors in English Literature. I have edited everything from short stories to novels! PLEASE CHECK OUT MY LATEST BOOK WORK, STILL A WORK IN PROGRESS JUST LOOKING FOR SOME HELPFUL FEEDBACK ON THE MATERIAL I HAVE SO FAR...THANKS. Do the advantages of this outweigh disadvantages? It is a well-known fact that the latest technological devices transformed how youngsters use their leisure time. While there are some obvious benefits associated with this development, they are overshadowed by drawbacks. On the one hand, there are two main benefits when the young spend their spare time on technology devices. First, Internet-based devices allow users to get access to learning materials freely available online to delve into their areas of the internet. For instance, a smartphone connected to the internet will encourage a young English learner to acquire vocabulary and grasp grammar rules via free E e-books. Second, with the advent of technological innovations, young people spend their spare time in more diverse ways than ever before without having to leave the comfort of their home. Chance are they choose to watch videos, play computer and chat with online friends on social networking sites. On the other hand, the drawbacks involved in using technology in children’s spare time is more significant. Constantly having their eye glued to the screens, they will allocate less time for physical activities what may follow is the development of a sedentary lifestyle. There will be a higher likelihood of various health conditions including heart problems and obesity. In addition, the increase of screen time lowers the chance of engaging in family get-togethers and social gatherings. As a consequence, the children will lose a sense of belonging to family and society causing them to feel isolated and depressed. In conclusion, youngsters have more to lose than gain from technological consumption. They should strike a balance between the benefit and the cost when expending their time on technological devices. It looks like you have hit the main points so you can develop this into an essay or make inquiries on the web re other benefits and disadvantages. I can see you easily tripling the size of the above by padding it. It's your call. Good luck. Can someone read the start of my book Catch Me If You Can? I really want some feedback. These are flat or dirty words that don't carry much meaning and slow the reader down. Your story will benefit, if these are omitted, of course not in every case. The Cleanliness family must put on the whole full armor of God, so they might withstand the Devil’s schemes. New enemies appear to Slayers in every chapter of Fallens series, but the story is still the same as the falling of Lucifer and his demons who rebel against the, Most High God. What is the meaning of this catastrophe? I suggest you join these two groups. I wrote a story about the Fallen Angels as the ones posing as Aliens, so check it out to see what I found in my research. I also wrote a spoof story about an alien visiting earth and what he saw while here.